Haringa Compressor is the only Turn-key Installation company delivering competitive services with minimal to no interruption of your process. As a expert in Compressed Air & Vacuum Systems, we proudly serve all industry in California, Arizona, and Nevada. 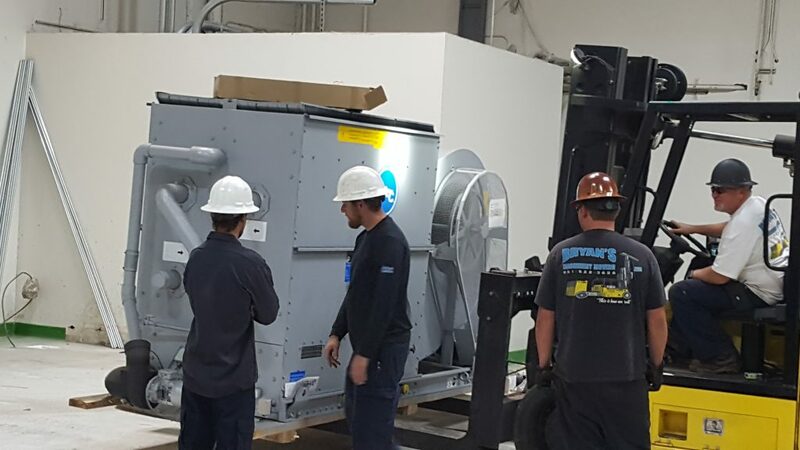 Haringa Compressor Inc built its reputation upon a tradition of providing system flexibility, reliability and versatility. We specialize in creating solutions to serve the unique needs, goals and objectives the most complicated projects. From registered architects and engineers to cost estimators and construction managers, we have a team of experienced professionals who can handle virtually any size or scope of project. We are committed to providing innovative designs that improves our client’s capacity to meet their business objectives. As a single-source provider for compressed air solutions, we incorporate advanced energy-savings technology, return on investment analysis, and guaranteed performance to provide an efficient system. Our Construction team is comprised of project managers, field superintendents, and coordinators/schedulers. This team of professionals oversees all of our construction management projects. As a true integrated organization, our clients will have peace of mind during each phase of the project to validate their investment. Haringa Compressor Inc is committed to sustainable design & energy efficiency. System designs incorporate smart, efficient, cost effective, and easy to maintain equipment….these are the hallmarks of of selected OEM Manufacturers. For over 30 years, we have been implementing the most advanced design technologies of the time into every system we offer to our clients. · Leaders in Compressed Air System Design, Management, Installation and Project Management. · Single point of contact for all project communications from your organization to ours. · Full service, turn-key approach including planning, design, management and construction services. · Complete solutions for the total life-cycle of your facility. · Capable resources to provide rapid response on multiple, fast track projects.